Pink adds amazing warmth to the face + flatters every skin tone. Pink is especially pretty during summer and lovely for your lips. It's a classic, soft shade and ALWAYS looks sophisticated. We LOVE L'Oreal Colour Riche Collection Exclusive La Vie En Rose. There are 6 shades custom-created in Sheer Matte Pinks. A Shade For Every Woman. To get an even better view of the PINKNESS, click on to L'Oreal.com. Colour Riche is a quality lipstick in pigment + lasting power, plus priced inexpensively at $8.99. If you're looking for great-looking , un-heavy pink lipstick, trying one of these from the La Vie En Rose collection should yield FAB results. The BOLD + the BEAUTIFUL is MORE than a popular TV soap opera. When it comes to beauty, vivid lipsticks are so-ooooo HOT at the moment. If you're UNDER age 40, we say, Go for it! These bold + beautiful lipsticks are true head-turners in colors that go BEYOND the rainbow. We believe the giant cosmetics brands like the Maybellines are now making bad girl makeup a mainstream thing. 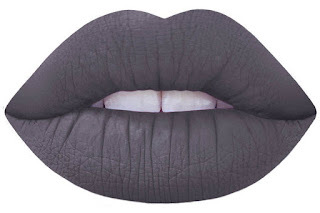 CEMENT (on sale now, $16, at LimeCrime.com). 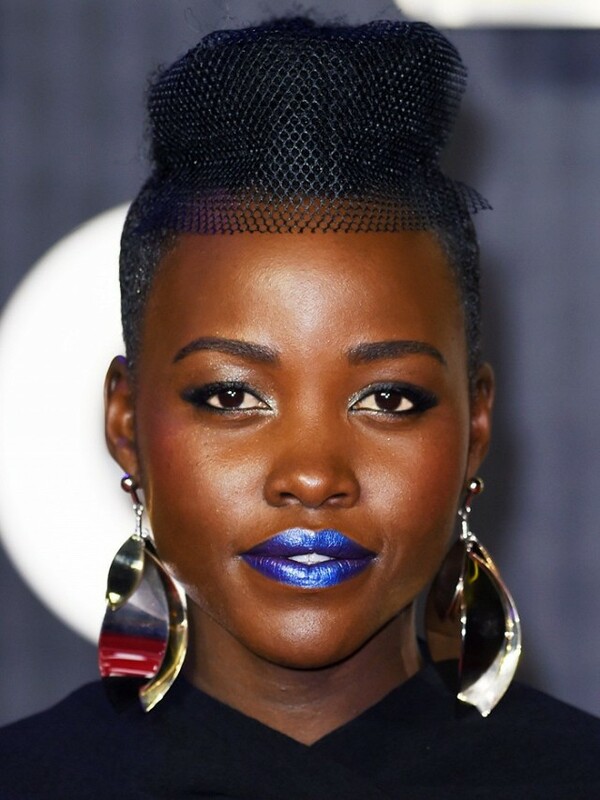 Then celebrities like Lipuita Nyong'o started introducing these bold colors while walking the famous red carpet. And now, Maybelline is DUPING the beauty trend with their OWN line of LOADED BOLDS lipsticks in 20 colors that also stretch the color spectrum. . Here's their take on it, in Sapphire, $7.49. So, this it the HOT look for lips.....Blue, Cement, Squash, Green, Yellow, Purple. Time to get your FREAK on, ladies. Body Blur: Perfect HD Finish To Hide Cellulite, Pigmentation Issues, Broken Capillaries, Etc. I just learned about a beauty product that a lot of professional makeup artists swear by when you're looking for that smooth, evenly toned pair of legs, arms, etc. Some women even like to use this on their complexion to achieve that air-brushed, high-definition perfection. It's been developed for BOTH the face + body. Awesome! 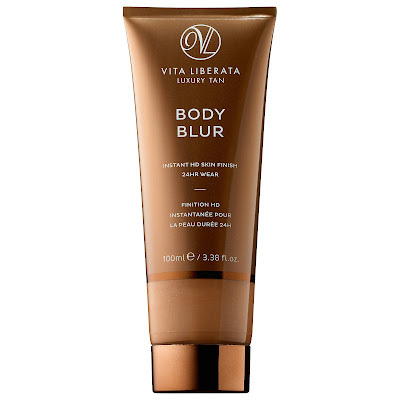 This magic tube of Vita Liberata Body Blur Instant HD Skin Finish. Okay, NOT the cheapest at $45 per tube, but maybe worth the beauty splurge. Seriously, I am tired of using Sally Hansen's Air-Brush Legs, because it RUBS OFF everywhere if you SWEAT. It looks good but can STREAK if you're sloppy or you sweat it off. This sounds like a wonderful + effective healthy glow product that discreetly HIDES imperfections. You can find Body Blur here at Sephora. I need this. Do you? Summertime is a blast for sure, but it's also the season where we probably do MOST damage, namely because we're in the SUN a lot. You can wait until autumn to repair your skin, but I say to focus on healthy complexions NOW. If you want FAST, noticeable results, then go for the AHAs or alpha hydroxy acids. 2. Smooth and balance skin tone. 3. Soften texture of face + neck. 4. Minimize appearance of pores. 5. Diminish appearance of spots, scars, fine lines + wrinkles. 6. Add a bit of firmness to skin. 7. Exfoliate well to get rid of dead skin cells. 8. Brighten and add a radiant glow. What's NOT to LOVE about a beauty routine you wear to bed at night? I am going to give you 2 brands to consider, one high end, the other low end. Both glycolic-based nighttime skin care products are impressive. I LOVE glycolic acid, even MORE than Vitamin C serum. Works BETTER for my skin. 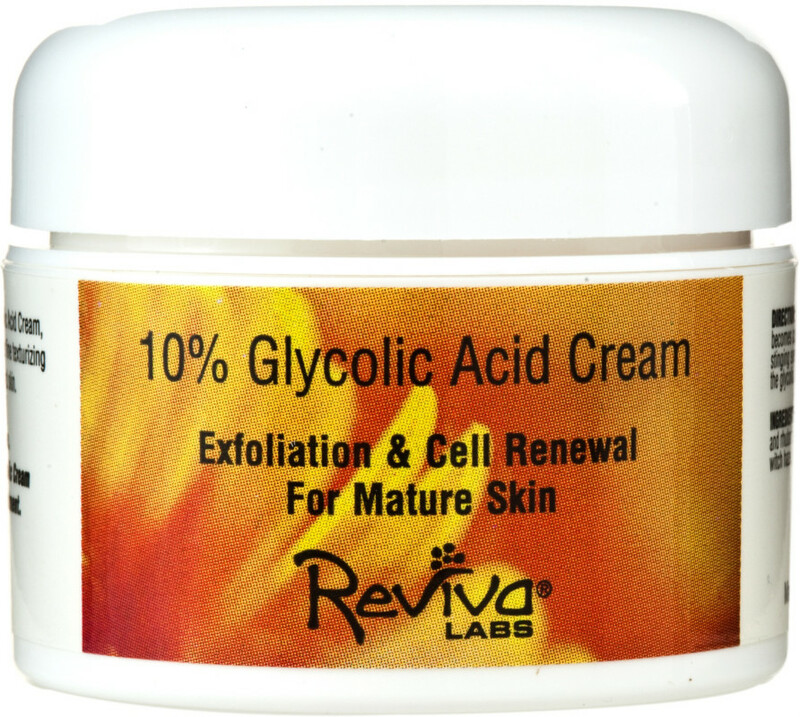 Go slowly when starting a beauty routine with AHAs, like glycolic acid, lactic acid, etc. They can be tough on the face + neck.....and should be used sparingly, until your skin gets used to the product's power. 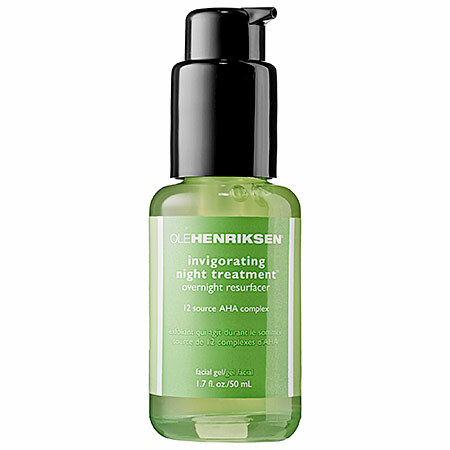 OLE HENRIKSEN Invigorating Night Treatment™ ($48, at Sephora). This amazing product features a light gel full of 12 AHA complexes, with glycolic acid topping the list of ingredients. 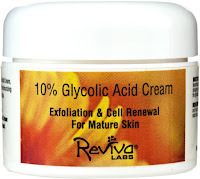 Reviva Labs, 10% Glycolic Acid Cream ($18.85, at iHerb). 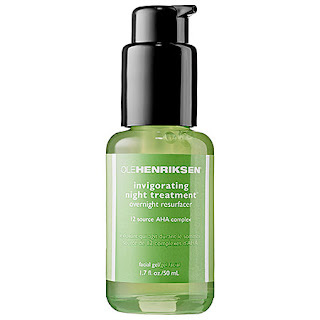 This inexpensive nighttime glycolic acid cream is another excellent choice. It also comes in a 5% glycolic base for those who might wish to begin their routine gently. Like good glycolic formulas, this one also offers fine texturizing benefits for aging, sun-damaged, or blemished skin. I'm an AHA believer.....How about you? PINK LIPS + PINK BLUSH equal summer sizzle and look FAB on every skin tone. Sure, you might have to adjust the pink to fit your unique complexion, but it is a universal shade that flatters every woman's skin, when it comes to makeup. 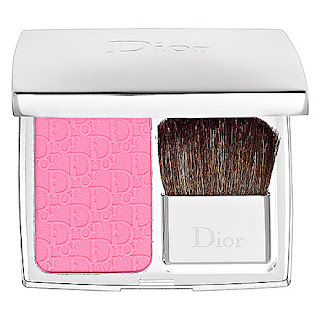 Dior makes gorgeous makeup, and no, it isn't the cheapest, but if you have the $$$ to splurge, then we think the stuff is splurge-worthy. Rosy Glow Healthy Glow Awakening Blush in Petal. I know, $44 for a blush compact sounds crazy BUT----it's really pretty + made beautifully. We found it here at Sephora. 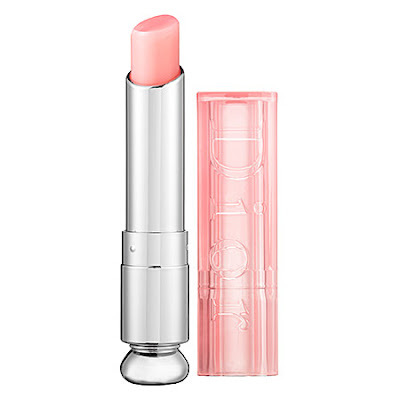 Dior Addict Lip Glow in Pink. Also at Sephora, for $33. It's a nice, soft, sheer pink with a satin finish. Wanna Try Boots No7 ? UK's Best Selling Anti-Aging Serum! Do you ever wonder what other women put on for smooth, clear, youthful skin? 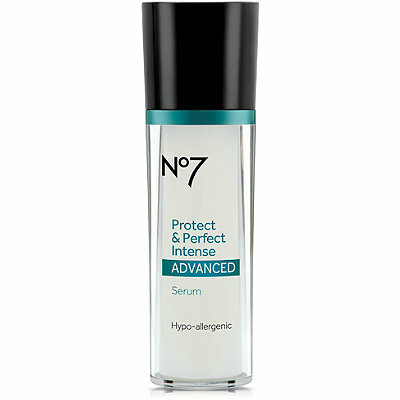 Get this--- The UK's Best Selling ANTI-AGING SERUM is Boots No7. And you can get it here in the USA from ULTA beauty stores. It's BOOTS' Protect & Perfect Intense Advanced Serum for UNDER $30! It happens to contain an advanced peptides + patented anti-oxidant complex that deliver a younger, more radiant complexion in just 2 weeks! Okay.....maybe a stretch, but if it's working in Great Britain, then maybe it's worth the beauty buy here. You can learn more about Boots No7 at ULTA.com. 374 ULTA reviewers gave the skin care serum 4.6 **** stars out of 5 stars *****. Not a bad rating. Actually, impressive. 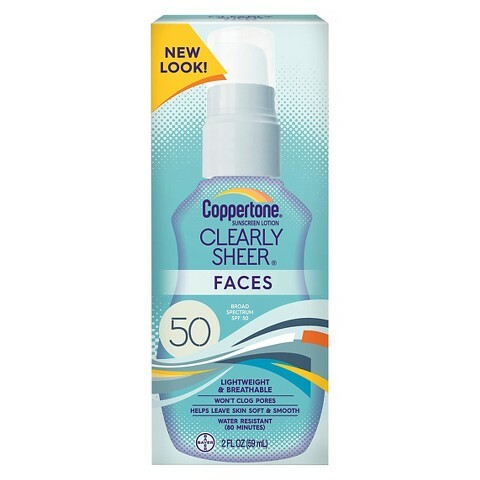 New Coppertone Clearly Sheer Faces 50 SPF: Won't Clog Your Pores! You know you're gonna DO it....You ARE going to be in the SUN. So-oooo....You might as well PROTECT your face + neck from the DAMAGING UVA + UVB rays. I like sunscreens that are kind to the complexion, and designed ONLY for faces, when that's where you want to apply them. Coppertone CLEARLY SHEER Faces 50. It's so POPULAR, it's SOLD OUT online at CVS.com at the moment. Cheap, too. LESS than $10. Found a bottle here at JET.com for $6.97 + FREE shipping. This one sounds like a great summer beauty buy! If you're headed to the beach this 4th of July, you are NOT alone, ladies. A pair of sassy sliders. You know....half flip flop, half sandal. 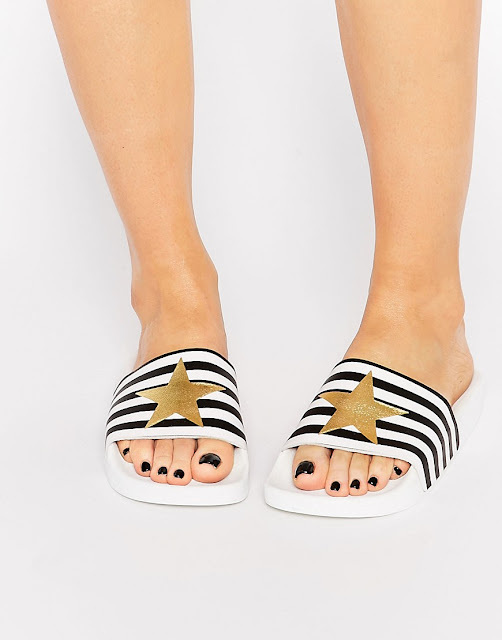 We like these by the WhiteBrand, and found them here at ASOS for LESS than $30! Super cute! And got the cool nautical vibe going on. Plus, LOVIN' the bad a** pedi. We suggest LICORICE by ESSIE ($8.50). Now, go on with your bad self and say HELLO to Summer!